A former Secretary to the Federal Government (SGF), Chief Olu Falae, said yesterday that he paid ransom to his abductors before his release last week. He provided shocking details of how he was starved, made to trek kilometres and forced to sleep on leaves while it rained. The former presidential candidate said he was kidnapped on his birthday by six Fulani herdsmen last Monday at his Ilado farm on the outskirts of Akure, the Ondo State capital. Speaking to reporters at his home in Akure, Falae said the armed hoodlums threatened to kill him every 30 minutes, until they received information that the ransom had been paid. He did not state how much was paid to the abductors, who initially asked for N100 million, which they reduced to N90 million. A family member said they could raise only N2 million. Falae, 77, said: “There were six of them with three or four guns and every half an hour or so they will say, ‘Baba we are going to kill you, if you don’t give us money we are going to kill you. “On Wednesday, one of them said we are leaving here on Thursday morning. Since we cannot leave you here alone, if we don’t get what we want we are going to kill you. Reliving his ordeal, he said: “When the hoodlums came, they slashed me with their cutlasses, they said I was not cooperating. And they dragged me barefooted into the bush. “After dragging me around for about two hours, they stopped somewhere for us to rest and there they asked me to phone my wife and tell her that I have been kidnapped and taken out of Ondo State, which was a lie. “About 2.30pm on Monday, we started walking with very few stops until 2am the following morning. I guess I must have covered a minimum of 15 kilometers. “That morning, I did not take anything. So all day, I had no food, no water and I walked close to 15km. How I survived I cannot really remember. I had no food in my stomach, I had no shoes, my clothes were torn. “At a point, one of them gave me a pair of slippers. Later, they called for a motorcycle. The motorcyclist took me away. I had no clue where we were going. Finally, they dumped me somewhere, where I was, until I was released on Thursday. “In that place, we all slept on leaves. Unfortunately, it rained in the night and I was drenched. One of them brought a small umbrella to cover my head, but the rest of my body was not. “They offered me bread, but I told them I could not eat it. I demanded for a bottle of coke, which was what I drank every day to have energy and to continue with the march, because we were always moving. The ex-finance minister said although the confirmation of the payment of ransom was made on Wednesday afternoon, he was not allowed to go until Thursday morning. “So the following morning, they said I should go. One of them took ropes to stitch my buba, which was tattered. “So when I came out of the bush, I found a motorcyclist, who gave me a lift to Owo. “The place was about 10km from Owo town. The place was between Owo and Ifon. And I walked to that place. I guess we must have trekked about 25km. “Miraculously, I was not tired, I was not hungry and I was not afraid of them at all. Each time they said, ‘Baba we will kill you,’ I will tell them, ‘no, insha Allah, you will not kill me’. “I did not break down, but I want to tell you that when I got back home I became completely exhausted. The 77-year-old warned that such attack should not be allowed to happen again as it could result to even graver consequences. 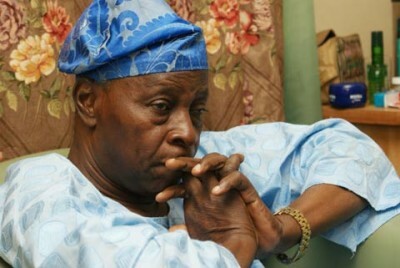 Falae said it was likely his ordeal was closely connected to his conflict with Fulani herdsmen, who consistently grazed on his farm. “The cattle rearers have been giving me a hard time for the past two or three years. Because I have a dam on the farm, so they like to bring their cattle there to drink water, then they eat my crops. “This time they ate up my maize farm. We took pictures, and it was videoed, the police went there. They were asked to pay compensation, they begged and paid half and we accepted it. “That was about two months ago. Whether it was one of them who went to bring his brothers to come and deal ‘with this wicked man’, I don’t know. It is plausible. “My view is that this is my home. I have not gone to farm on anyone’s territory. This is my home where I was born. I have every right to farm here and live in peace here. So, this is totally unacceptable. “I once told the commissioner of police that if he cannot protect us and protect my farm, then I will protect myself. There will be self-help, if government fails to protect its citizens. “It would have been unfortunate if that were to happen. The IG met me and assured me that they will give us protection. The former SGF said he was not surprised that the police could not trace and arrest the kidnappers because of the manner of their movement and operation. “These fellows were permanently on the move. Day and night they were walking. Through farm lands, through water, through swamps…they were scared, they knew they could be traced with GPS, that was why they were running around all the time.